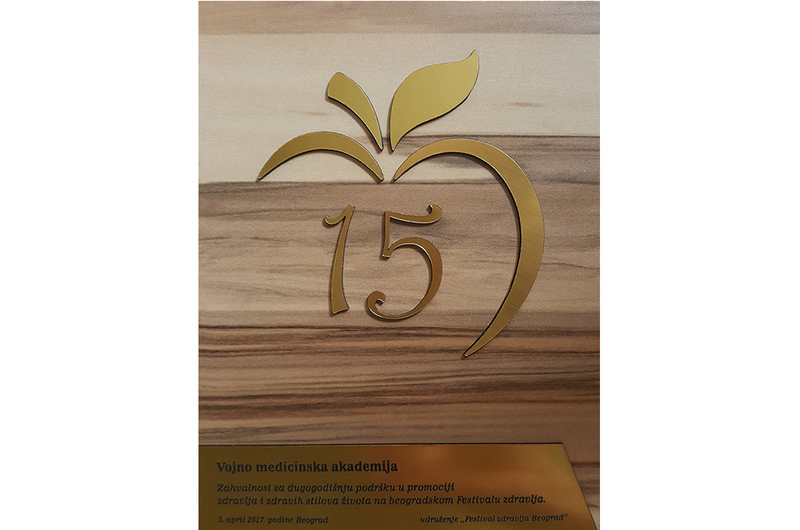 On the occasion of a jubilee year, the Festival of Health in Belgrade awarded the plaque to the Military Medical Academy for its contribution to the development of this event at the opening ceremony of the 15th Spring Festival of Health on Wednesday, 5 April 2017. Recognitions were awarded to institutions, sponsors, exhibitors and individuals who have supported the festival since its establishment. Health Festival is held twice a year in Belgrade, and has become a recognizable brand in Serbia and the region.